This past January, our clients Kathleen and Linda were loading their car after a shopping trip when a stray Pitbull jumped into their backseat. The black and white dog was very tame, but it was clear that he needed medical attention. 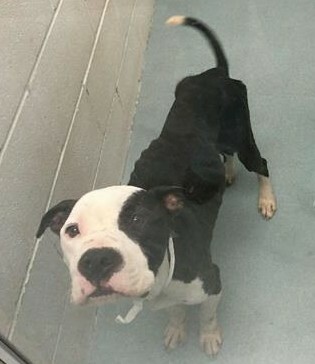 He was emaciated, and he had severe scabbing up and down his arms and on his sweet face. Kathleen rushed him over to our hospital for treatment. Upon his first exam it was discovered that he only weighed 35 pounds. Stool testing revealed intestinal parasites that would need to be treated, but thankfully, he tested negative for heartworms. The sores on his body were probably because he had a flea infestation, and they would heal with care and time. Kathleen decided to leave him in our care for boarding services and rehabilitation. And she decided that his name would be Chance, because this was truly his chance to live a happy, healthy life. Once he was dewormed, bathed, and given the medications he needed, Chance quickly began to transform. Each day he became friendlier and more playful. His wounds began to heal, his coat became shiny, his eyes became bright, and he started gaining weight! Kathleen and Linda decided to let us neuter Chance and clean his teeth. 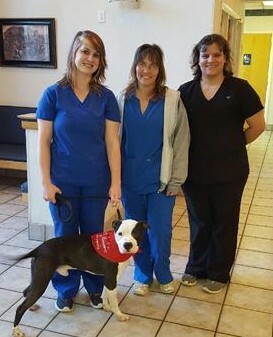 By the end of Chance’s three week stay he was in excellent health, and he weighed in at 48 pounds. His transition has been an amazing one. Right now, Kathleen and Linda are looking for a perfect, forever home for Chance. We are humbled by their kindness and commitment to this sweet boy, and we are grateful that they gave us the chance to work with him. Because there’s nothing we like more than to see a pet get their second chance. We’re excited to announce the launch of Petly – your personalized pet health page! We have decided to move away from our current pet portals and upgrade to Petly, a new system we are very excited about. As a result, your Vetstreet pet portal has been deactivated. 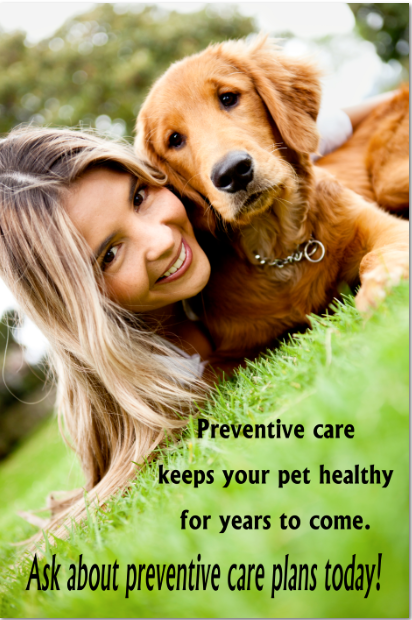 Pet Health, Centralized Keeping your pet healthy has never been so easy! Review your pet’s health records and more. Request an appointment or order a prescription online. Petly is designed to let you access your pet’s health resources when you need them most. Your Pet’s Appointment Information. You can request an appointment and view up-to-the-hour information on future appointments. Know when to arrive and what to expect at each visit. You’ll also see a record of past visits with us. The Latest in Pet Health. 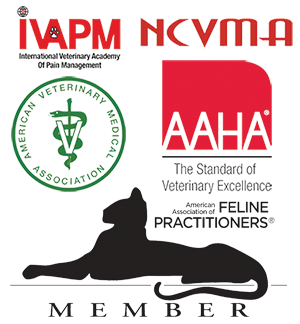 Find informative articles about the latest in pet health from the Pet Health Network. From medical articles to behavior tips, breed information to breaking news about tick borne diseases and food recalls, the Pet Health Network has it all to help you keep your pet as healthy and happy as possible. Get Social! With a live Facebook feed to the Town N Country Facebook page, you can see the latest in pet-related news from our hospital, learn about deals and offers, and stay in touch with us! Many of you have already received an activation email providing you with login information. During your first login, you’ll be asked to create a password. Be sure to write it down! What Do You Think? Let us know about your experience with Petly! Do you have questions or comments? Let us know. We’re excited about offering you this convenient tool to keep your pet healthy and happy.